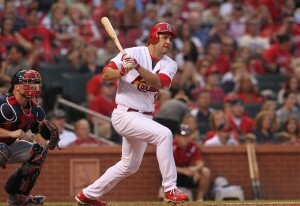 Lance Berkman had a single, RBI double and walk reaching base seven straight times over two games as the Cards are now in the wild card race with their second straight 4-3 victory over the Atlanta Braves on Saturday night. 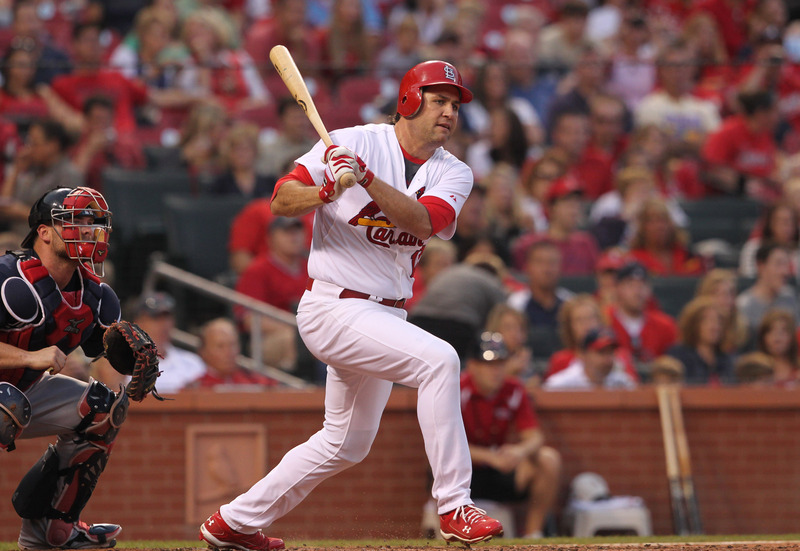 Jaime Garcia (12-7) worked six innings, and Rafael Furcal had two hits and his 300th career steal for the Cardinals, who doubled four times and scored four runs in the first three innings against Derek Lowe (9-14). They’ve taken the first two games and reduced Atlanta’s wild card lead to 5 1/2 games and pull St. Louis within six games of first-place Milwaukee in the NL Central.